Stem cell transplants can be the best hope for a cure from diseases like leukemia. Too often, rejection, or graft versus host disease follows, and it can be deadlier than the original disease. A researcher in Seattle is encouraged by a new combination of therapies that may prevent GVHD altogether. The Ferguson family chronicled Noah’s battle against leukemia, then graft versus host disease in this book. It’s a thick one. 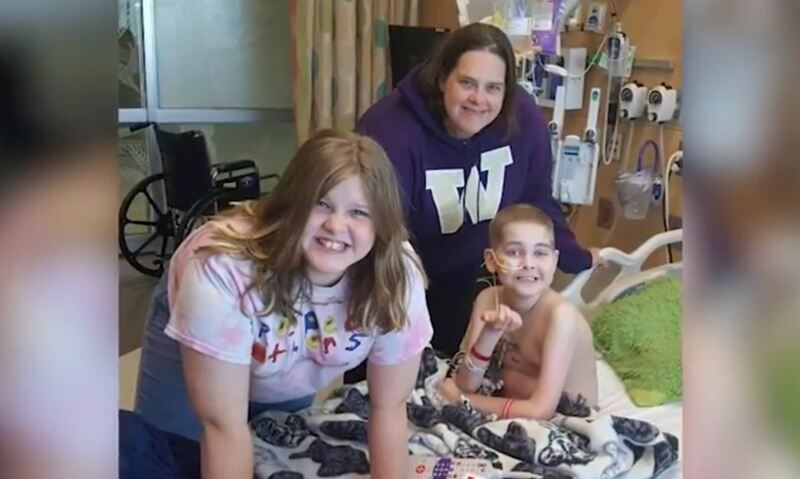 “He had already gone through chemo and had gone through all of this, and by far, our hardest battle was his graft versus host disease,” Kari Ferguson, Noah’s mother told Ivanhoe. Doctors wanted Noah to get a small amount of GVHD from his stem cell transplant to eliminate remaining cancer cells, but the disease invaded his liver and gut. He was in and out of the hospital with complications for months. Childhood cancer researcher Leslie Kean MD, PhD, Associate Director, Ben Towne Center for Childhood Cancer Research, Seattle Children’s Research Institute has worked her entire career to find something to prevent GVHD. She found that therapies that eliminate bad T-cells suppress good ones too, until now. The immunosuppressant rapamycin and an experimental antibody called KY1005 work together to block pathways and prevent GVHD in animal tests. “Rapamycin is partially effective by itself. KY1005 is partially effective by itself. But when we put them together is where we really saw really amazing activity,” said Dr. Kean. Noah’s family is excited about the trial’s potential. Maybe someday, Noah will help, when he grows up to be a doctor. The biotherapeutic company, Kymab in England is running a phase one trial of the antibody combination on people with psoriasis right now. Dr. Kean hopes to start designing a GVHD study for KY1005 and Rapamycin within the next year.